Byron Bay in spring is a truly amazing place to be. As the days become longer it is a great time to play a soccer game. 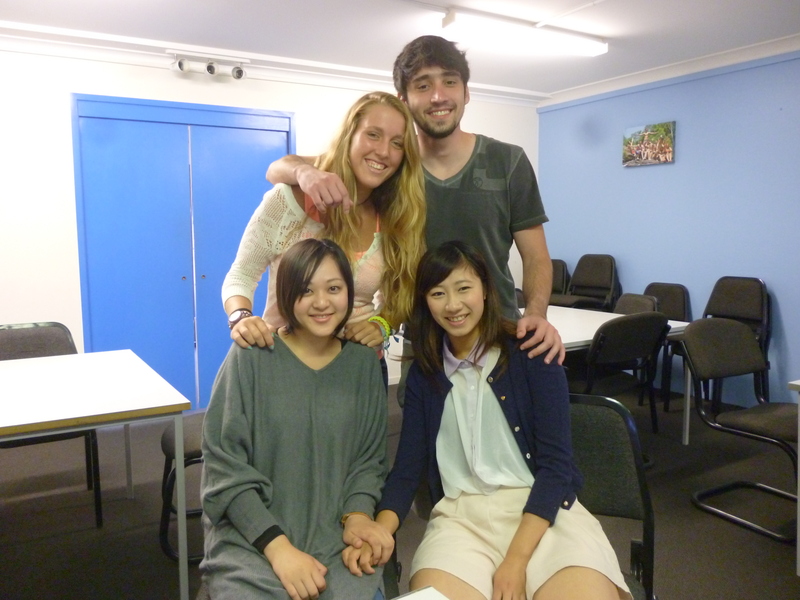 You can exercise, have fun and speak English with students from different classes and courses. If you want to play, visit Max at the activities desk. It was a small but sweet group of starters on Monday. Today we had a small graduation followed by a yummy lunch at cafe Oska. 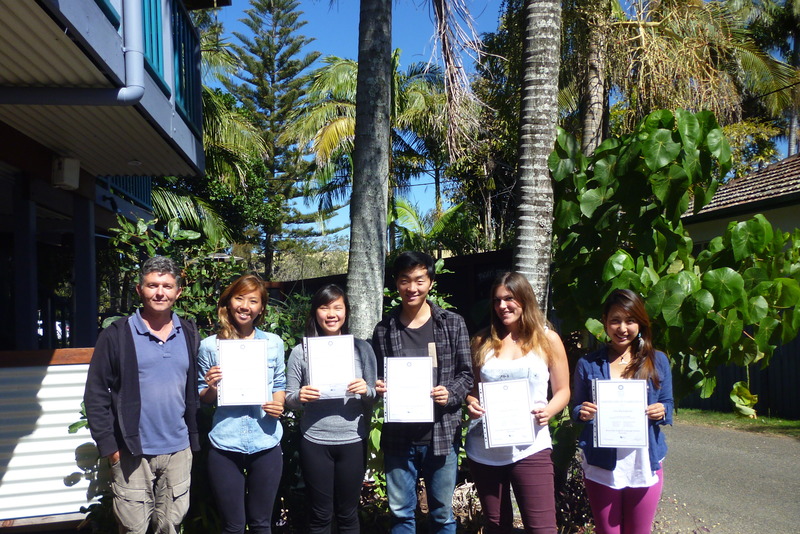 Frank, Cambridge coordinator, has really enjoyed teaching such a great class. The students also had a wonderful time, and hopefully they will all get the marks they deserve. “I would just like to congratulate you on the great teachers you have in this school, specially Jim, Ash and Frank, they teach with love and made my English improve a lot”. Evelyn Tomita Brazil. 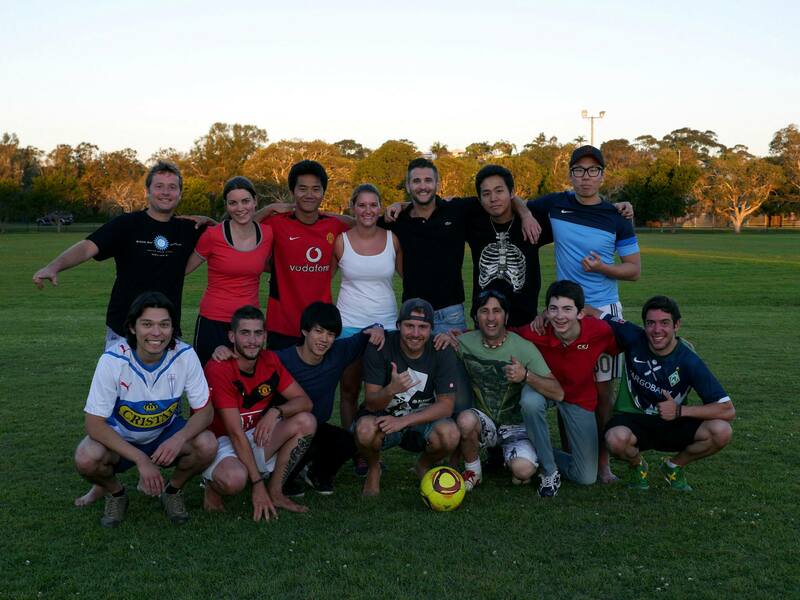 This week we welcomed students from Japan, Switzerland, Italy, France, Spain and Chile. We hope you love the school and your time at BBELS!!! This morning was the perfect morning to go to the Farmers’ Market. The skies are amazingly blue, a cool fresh breeze and a warm sun make it very enjoyable!!! The students always enjoy looking at the seasonal fruit and vegetables, enjoying some great local coffee, and seeing the Byron Bay locals in their natural habitat. We will all be very sad to say goodbye to Fukagawa. 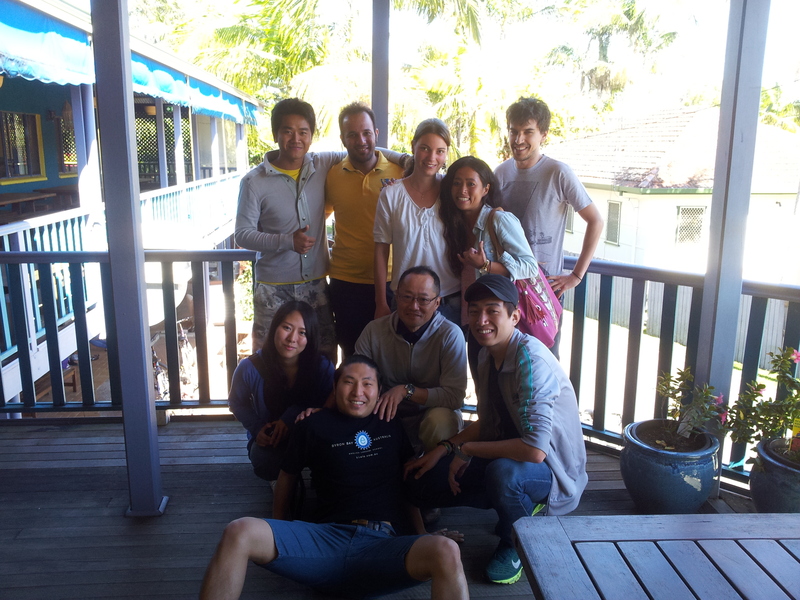 They have been a lovely group of students, teachers and staff from Fukagawa High School. Everybody is always smiling and happy. They have had some lovely weather and wonderful activities. 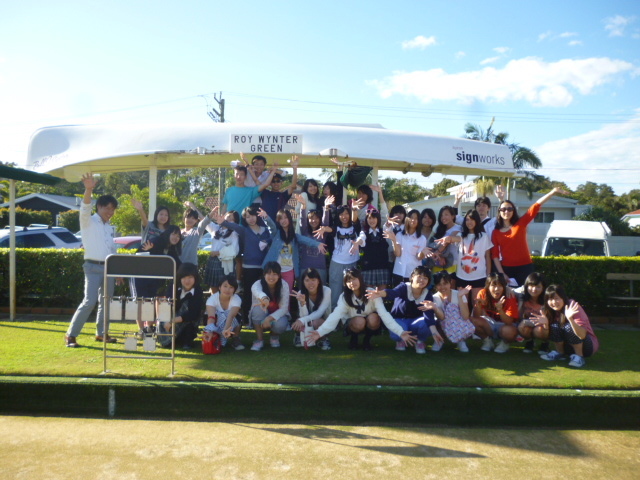 We all enjoyed lawn bowls last Friday, it felt like summer on the greens.